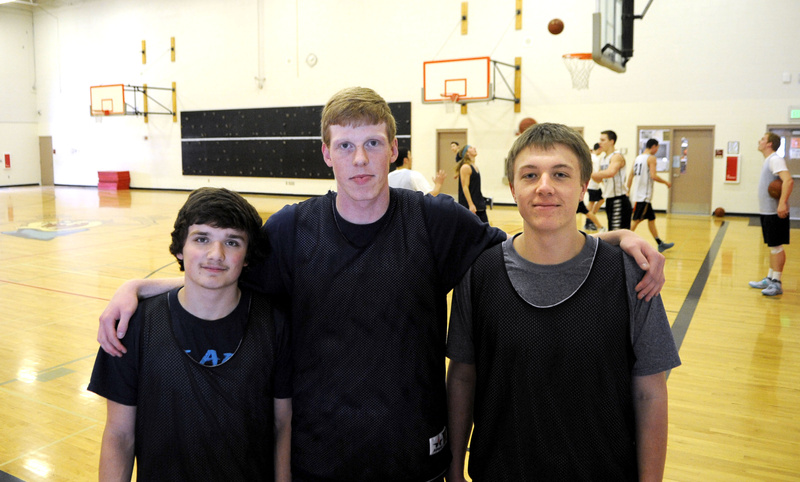 The Post Falls boys have been a mark of consistency. The Trojans qualified for the 5A State tourney for a sixth straight year. Coach Mike McLean believes his team can contend for a trophy when play begins today at the Ford Idaho Center in Nampa. Post Falls (15-8) open against District III (Boise area) runner-up Rocky Mountain (17-6) at 7. If being courtside at a state basketball tournament seems second nature to Lake City senior JJ Winger, it has been. His father, Jim Winger, has been taking teams to state going back to before his son was born. Now son and dad are going together for the last time, beginning today when the 5A State tournament begins at the Ford Idaho Center in Nampa. JJ began sitting on the bench when he was a towheaded 5-year-old in 2001. He said he remembers LC playing in the state title game in 2002 – the last time an LC team brought home a state trophy. “Actually, the only thing I remember about that game was the national anthem,” JJ said. LC (17-5) takes on District V-VI runner-up Skyline of Idaho Falls (19-6) in the first game of the tourney at 12:15 PST. Winger averages 10 points per game and shoots 40.6 percent from 3-point range. He broke the school record for 3s in a game this year when he made 10. So when his father walks on the court for the season opener next year, the bench might seem a little empty. “It’ll sure seem like something is missing,” the coach said. Basketball is something dad never pushed his son to do. Father and son share a passion more important than basketball. It’s something they’ll do the rest of their lives. Son will miss sharing basketball with his dad. Winger has developed close relationships with two other seniors – Kyle Guice, a three-year starter and four-year letterman, and Justin Pratt, a three-year starter. At times coach/player relationships between Winger and Guice and Pratt have been bumpy. This season, Winger decided to quit trying to put a square peg in a round hole regarding the 6-foot-6 Guice. For the first three years, Winger tried to get Guice to play mostly with his back to the basketball. This year he allowed Guice the freedom to roam the perimeter, and Guice has blossomed. He’s averaged 13.9 points and 8.8 rebounds per game. It was never more obvious than in the regional title game last week. Guice had two points at halftime, but he came alive in the third quarter. Guice is as gifted a passer as he is a shooter. He’s shooting 55 percent inside the 3-point arc and 45 percent outside. Guice has appreciated the freedom this year. Winger’s appreciation for Pratt has grown this season. Pratt, who averages 8.7 points and 4.9 assists, can’t believe his career is down to two and maybe three games. Winger, Guice and Pratt were starters last year when the Timberwolves went 0-2 at state. They’re out for redemption this week.